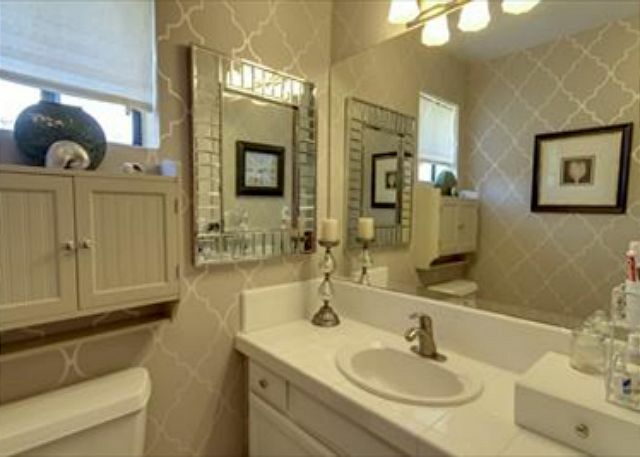 Beautifully decorated, two-story, 1500 sq. 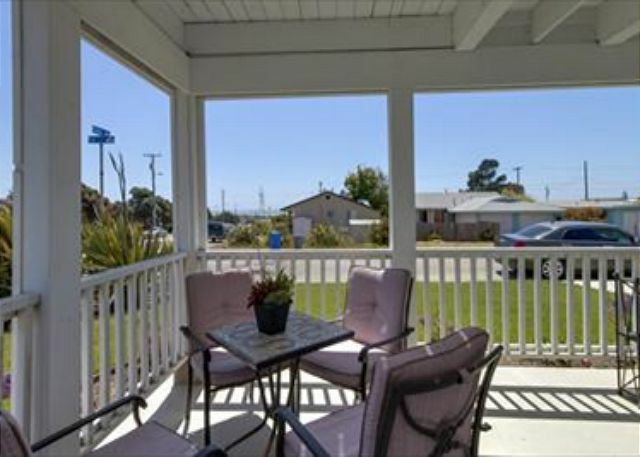 ft. home with views of Morro Rock and the ocean. 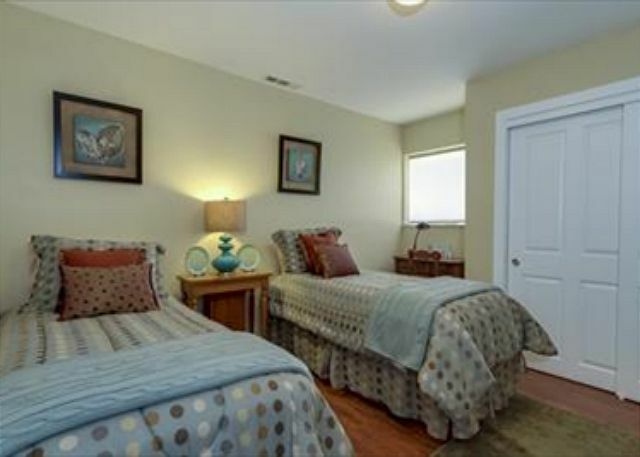 Walking distance to Spencer’s Market, a coffee shop and restaurants. Quick drive to the Embarcadero & downtown Morro Bay. This three bedroom, two bath home is equipped with all the necessary conveniences of home plus a few extra bonuses including a spa! The large upstairs loft area offers amazing views and is great for extra gathering space or additional sleeping. Perfect for family getaways. Living room offers a flat screen TV and fireplace. The fully stocked kitchen is open to both the dining area and living room. The dining room table seats 6 people. 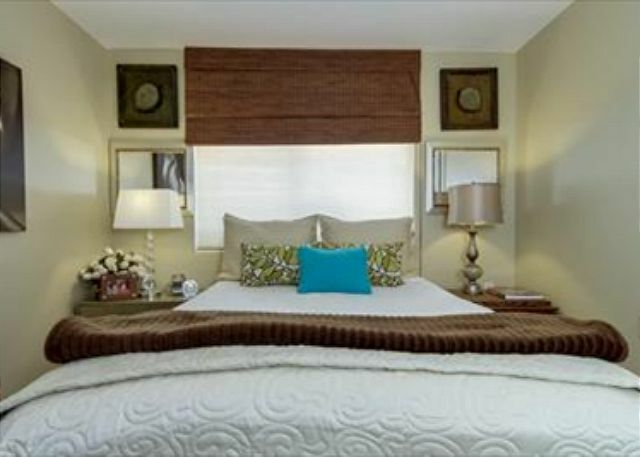 Two of the bedrooms are furnished with queen sized beds and the other with 2 twin sized beds. 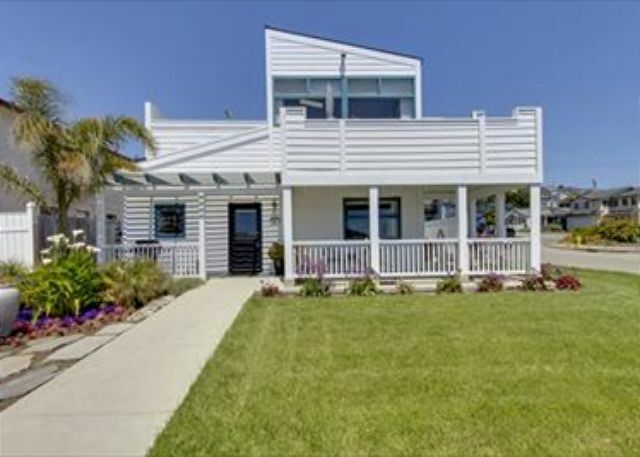 All bedrooms and baths are located on the entry level and there is a good sized loft with ocean views and deck access on the 2nd floor. The property is nicely landscaped from curb to fence lines. It includes a good size deck on the upper level as well as a patio. Several tables with plenty of seating, barbeque, and a large flat grass area for your enjoyment. DirecTv, Wifi & linens included. Enjoyed a very comfortable vacation. We attempted to beat the heat and stay at this home for a few days. Nicely appointed, they had everything there we could possibly need including extra jackets in the closets for guest use. Nice ocean view from the upstairs room. Very clean. We had an issue with the coffee maker and the manager was over with an extra for us to use within the hour. Great stay in Morro Bay! we had a great time at the house and Marissa was very helpful and responded promptly to all of our questions. We love this house! This is the second time we have stayed here. We love the location, view, and set up of the house. The only tiny suggestion I have is to get a standard coffee maker. We had no problems and enjoyed our time here! Its a nice home, rooms are a bit small. There is a weird bubble in the flooring in the livingroom and the owners leave alot of stuff out. Just a lot of clutter. We had read the reviews and expected this so it wasn't a shock to us. This is a very nice home but its neighborhood isnt the greatest. The homes around it are eyesores. The laminate in the livingroom was put down incorrectly and has raised spots which really should be fixed. The stairs to the loft area upstairs are very steep and it gets very hot up there. The bes were comfortable, the owners leave alot of personal belongings out and around which was very uncomfortable and makes the home feel cluttered. It was very clean otherwise and the rental office was great to work with. We only dealt with Marissa, she was very kind and very informative and we will be using the office again- just maybe not this home. Not worth the price in our opinion. This home is nice, wouldnt suggest it to people with large families because it is a very tight space. The livingroom floor needs to be fixed, theres a bubble in the middle and the floor just creaks. The owners should also remove or at least put out of guests sight all their personal belongings. It was very strange to open cabinets and see other peoples fully stoked items with minimal room for our own. The house across the street is awful but thats not this homes fault. I think if the owners made some adjustments to how they present their home it could be a lovely place- we stay in alot of vacation homes and this one just isnt ready for that. You can tell the owners use it alot so I dont think they are ready to be a true vacation rental or maybe just dont understand the process. The house itself is great, very comfortable and clean. But the neighboorhood is not great. The house directly across the street is an eyesore. You have a very nice home and a very nice property manager. She made the whole process so easy and we will return next summer. We had a great time, wish we could have stayed longer! While the house is a little smaller than we thought it would be for 3 bedrooms, its so tastefully decorated, theres nothing to not love! House was neat, we enjoyed the multiple patio areas. It was foggy so we didnt get to enjoy the view but my kids enjoyed the house and all the ammenities. Nice home. The stairs are really steep to get to the loft area where the view is, wouldnt recomemend this house for people with younger kids. Great for adults though, and the management companys so great- this is our 4th time using Seaside and we will be back! Beautiful home, not to beautiful neighborhood. Loved the house but the neighbors home is an eyesore. We had a great stay, thank you Marissa! This home is beautiful. Very tastefully decorated. A little far from the beach (for us) to walk but the view is lovely and it was only a 2 minute drive to the beach access. Quiet neighborhood, we felt very safe. Will return! 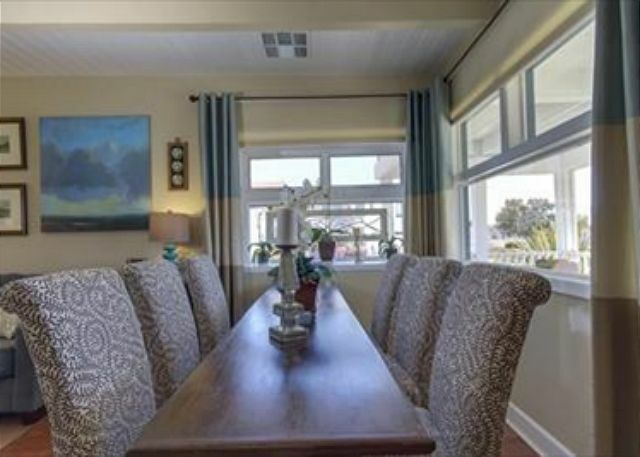 Great location, wonderful views, and tastefully decorated. All the kitchen utensils you could want. Beds were comfortable. The house had a few quirky things (light switches in funky places, bouncy floors in living room, etc., but it wouldn't keep us from staying there again.